First they play Old Trafford. Then they’ll play who, Hertha Berlin? What happened to the “inspirational” games to be played locally by a team wearing Umbro’s retro-Cosmos gear? Nearly two years have passed since Paul Kemsley paid Peppe Pinton’s ransom for the rights to the Cosmos brand. No news of NY2 means we’re really no further along than sixteen years ago, when MLS was launched with a team to play at Giants Stadium and sketchy plans for a team to someday play on Long Island. 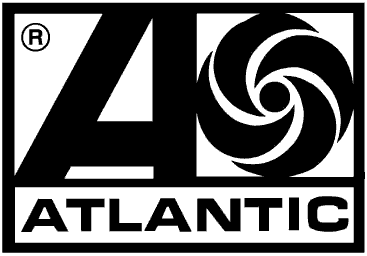 As I’m reminded the Cosmos logo mimicked another Warner Communications property, Atlantic Records, it’s tough to figure the lyrics to their retro tune. Instead, we get a clothing line with ads celebrating the lost art of looting. Funny, my Cosmos memories don’t involve throwing any bricks through windows, but that’s just what they did at the Umbro Pop Up Shop in SoHo to launch the collection commemorating the ’77 blackout. One lesson the Bee Gees taught us in the Seventies was “the New York Times don’t make the man.” Kemsley & Co. have doubtless done a good job capturing column space in the Gray Lady, but of course that’s what Anomaly does well, though the sale of a 60% stake to MDC a few months ago amidst reports that “Anomaly has been haemorraghing money,” makes one wonder if their investment in the potential of this branding project might have already proven a costly and risky bet. Risky bets are, of course, something Paul Kemsley knows all about. The fluff piece in the NY Times on Kemsley back on April 15th glossed over his financial troubles, neglecting to mention the bet with Spreadex that took him to high court. Buying the Cosmos might be Kemsley’s last ace in his pocket. Just guessing, but I doubt Studio 54 ever played “The Gambler” by Kenny Rogers. Who’s really playing DJ right now? The team that will face the MLS All Stars at Red Bull Arena will host a team that claims to represent New York just nine days later. A horrible insult to yesterday’s and today’s dedicated fans of top-flight New York pro soccer. For the first time since 1985, the Cosmos field will take the field, and at the Theatre of Dreams of all places? Why, is this how Cantona actually functions as Director of Football for a fantasy club? More likely Nike-Umbro is using the occasion of the Paul Scholes testimonial to sell Nike and Umbro merchandise. That they’ll do this just six days after the Red Bulls become the first team to represent New York or MLS at an English Premier League ground is yet another example of poor timing that couldn’t be more deliberate or disruptive, threatening to undermine yet another opportunity for the Red Bulls to be identified and celebrated as New York’s pro soccer team, in the midst of the MLS All Star Game and its related festivities as well as the Emirates Cup this week. It could be worse for those of us who care about the Cosmos legacy. If one of Peppe Pinton’s plans for the brand had come to fruition, the Cosmos would have played host to Real Madrid the other day at Lincoln Financial Field. But Philly declined the Cosmos brand and it was Kemsley & Co. who finally met Pinton's personal terms (he has retained Cosmos Soccer Camps and "This is Cosmos Country" as a service mark of Soccer Camps of America) and the focus is squarely on promoting a retro clothing line. Stroll down Frank E. Rodgers Boulevard post-match and pass the Pegasus Soccer Shop in Harrison and you see in the window, next to Red Bulls’ gear, Umbro’s retro line featuring the tweeked Cosmos logo. Easy, then - even for someone living within a mile of Red Bull Arena - to think there’s another team in town, when there isn’t. So much of this group's leverage of the Cosmos' brand equity is deeply perplexing. Unless someone else is willing to partner with them and bring them in (to run the show?) because of the brand rights they now claim, they are stuck. No stadium deal, no NY2, regardless of Beckham's cashing in his reduced franchise fee contractual option. NY2 can be with or without them. Why buy an academy within the territorial rights of the only current MLS market that already has two franchises? Perhaps because it’s far cheaper to sponsor academy teams than it is to sponsor players currently competing in the world’s top leagues and reasonable to do in the absence of a current top-flight team playing under that moniker. In addition to being a decent and cost-effective sponsorship branding opportunity, the PDL exhibition squad is a good excuse to register players for competition against professionals through the USSF. But if they were really serious about developing the brand at the grassroots, why does Pinton retain Cosmos Soccer Camps? If they enter MLS, the trademarks and copyrights don't stay with Kemsley & Co. but would go to the league. Surely then Pinton would have to cease and desist with Cosmos Camps. Any NY Cosmos sales through jerseys, hats, etc. - all of their fashion ambitions like we’re seeing now – would go into the MLS kitty, through the properties division [the sale of Beckham or Henry jerseys make MLS money, the Galaxy or Red Bull only taking a share of that pie]. Yes, Garber’s gone on record as supporting NY2 but he’s also gone on record as having rejected the Cosmos brand on behalf of MLS. While the marketing efforts can be viewed as successful at raising the brand’s profile and selling retro shirts, from a league perspective and from a club perspective, their strategy of confrontation can’t be winning friends or earning invites to partner in the single-entity structure of MLS. Will Kemsley & Co. politely tell Umbro “thanks and goodbye” as they say to MLS “here’s our brand for your collective kitty”? What’s been accomplished by Kemsley & Co. since paying Pinton’s ransom two years ago? They’ve made pro soccer in the New York market more complicated and problematic than it’s been since the Cosmos stopped playing back in ’85, distracting New York sports fans from what’s been accomplished by Red Bull New York in the past two years. Both the All Star Game and the Emirates Cup are opportunities for our club to elevate its status locally and globally. But the retro alternative threatens to divert that attention away from the Bulls.